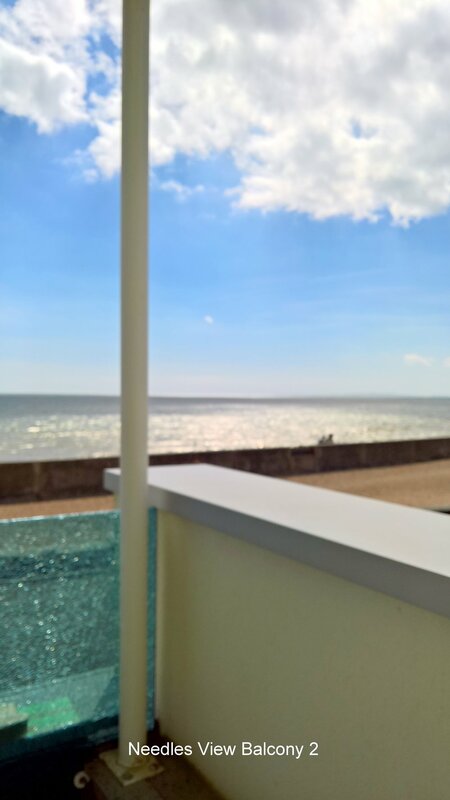 Our new Needles View cabin room is our smallest room (16.80sqm), but it has the benefit of a south facing balcony providing spectacular sea views, over Christchurch Bay and the Needles on the Isle of Wight. It is a comfortable, cosy room fitted with a standard size double bed (4ft 6 inch) and has a separate WC and Shower. It's perfect for guests not requiring a King-size bed. Like our other rooms, it has a flat screen TV, small fridge with complimentary fresh milk and bottled water provided, plus a kettle and coffee, tea, hot chocolate etc. 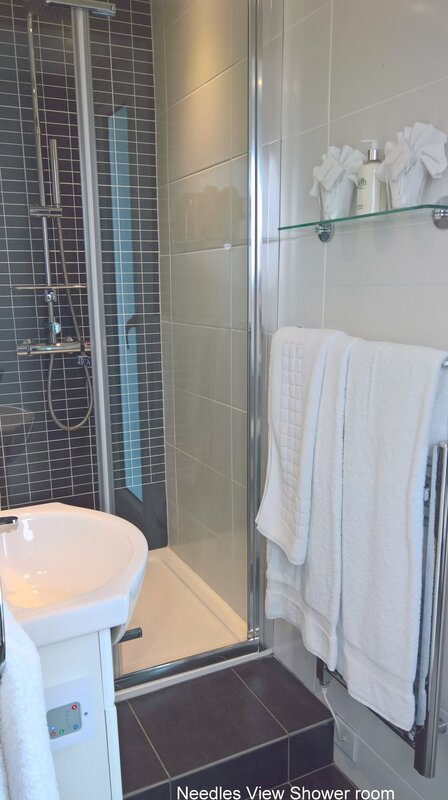 It fitted with a standard size Double bed (4ft 6 inch) and has a separate WC and Shower; and our high quality linen is changed daily, with Bathrobes provided to enhance your stay at Marine House. "My wife and I stayed here for just one night. Should have been longer. 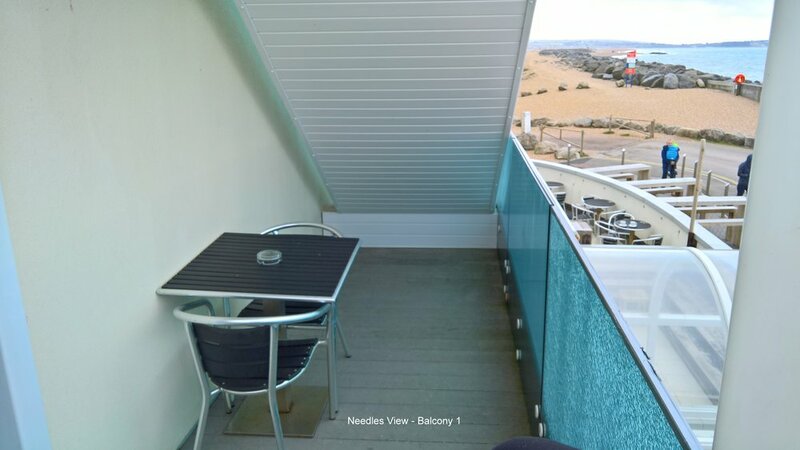 We were in the Needles View room, beautifully presented, spotlessly clean, fantastic bathroom. The property itself is in a great position right on the beach, and Richard gave us a warm welcome on arrival. The room had the usual tea and coffee making facilities plus a fridge, with REAL MILK in it!! "This is a super B+B in an Art Deco style building that has been refurbished to an extremely high standard.